This week Kyle and Matthew chat with comedian Meredith Casey in part two of their mini series on the wonders of parenting. Meredith is a mom and we talk about what motherhood has been like for her. She talks about doing stand up while pregnant, balancing creative life with responsibility, and the advantages of being a parent on an artsy schedule. Plus, more zoo talk than you were probably expecting. Also, they chat about exploring darkness in comedy, the wonders of cognitive behavioral therapy and Jams bands. This one goes a lot of different directions and its a real good time! 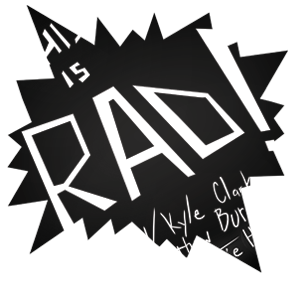 Kyle’s label RadLand Records is having a launch party/show at The Barkley in Pasadena Wednesday February 6that 8pm. The show is free and features Kyle, Solange Castro, Keith Carey, Tom Goss, Vance Sanders, and Maria Bamford! Come hang out! Also: RadLand Records’ first release Solange Castro’s “A Journey of Self Discovery” is out now wherever you stream or download music!